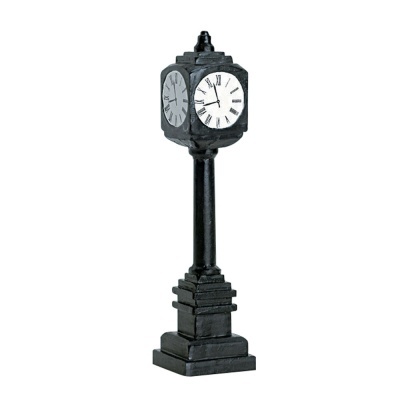 Lemax Street Clock Accessory depicts a traditional Victorian town square clock typically suited for a bygone era setting in a Lemax street display. Suitable for individual placement in a Lemax Dickensian themed town setting. A Lemax Village miniature accessory which joined the Lemax miniatures collection in 2007. 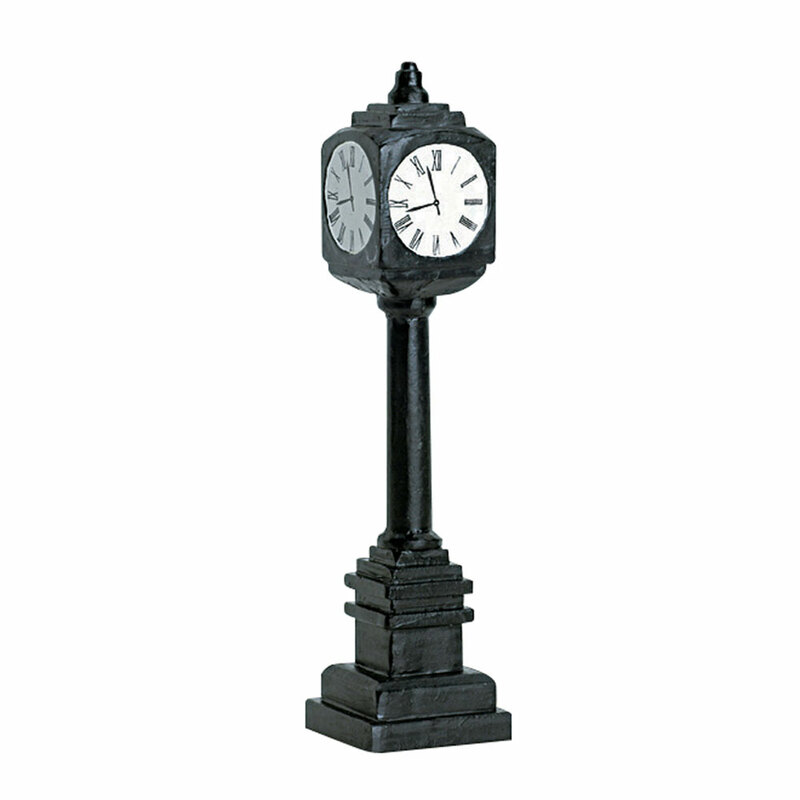 Lemax Street Clock is an individual resin hand painted miniature piece to compliment your seasonal Lemax Village display.